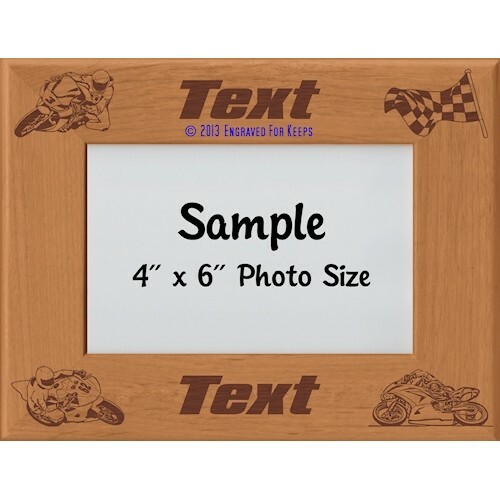 This motorcycle road racing picture frame makes a great gift. 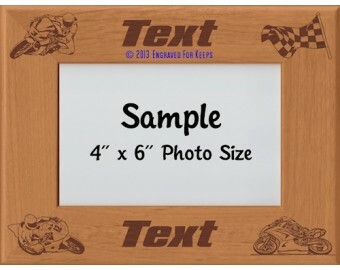 Graphics include sportbike road racers dragging knee and a checkered flag. 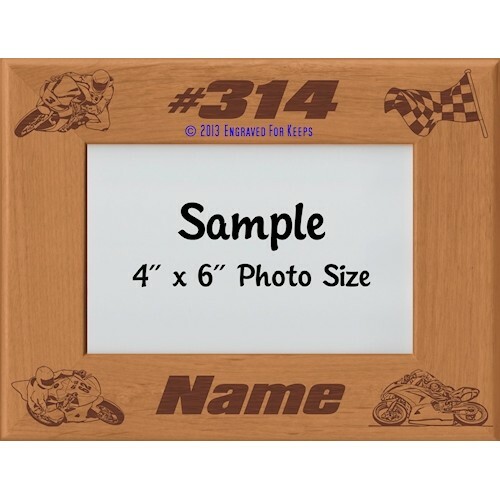 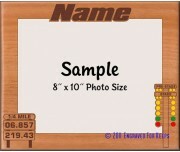 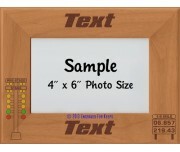 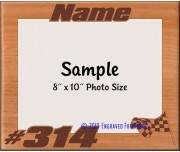 Space is available at the top and bottom of the frame for engraving in a racing style font a name, race number, or a name & dates, or text of your choice.